[From IMDb:] After witnessing a horrific and traumatic event, Julia Lund, a graduate student in psychology, gradually comes to the realization that everything which scared her as a child could be real. Taking part in the early-2000’s trend of bringing to life childhood fears of the dark, They is probably one of the darker (ho ho ho) examples out there. It’s not quite as fluffy as Darkness Falls, or as uneven as Boogeyman – and it feels a little more grown up as a result, even as it deals with very similar storylines. Although I think the cast generally does a good job, I do have to say that Laura Regan, who plays the lead character, Julia, is kind of terrible. In a movie that at least aims for some kind of subtlety, Regan’s acting – particularly in terms of her physicality – goes from 0 to 1,000 without touching anything in between, which makes many of her scenes really stand out as being incongruous with the rest of the film. Subtlety just ain’t her thang. The movie does lag a bit in the middle, as people speak background info and psychobabble at each other in order to flesh out the possibility that the events of the movie are psychological rather than real. But – and maybe this is just me – this alternative explanation of events never quite feels authentic to me; as if it’s more about storytelling convention than presenting a genuine option. 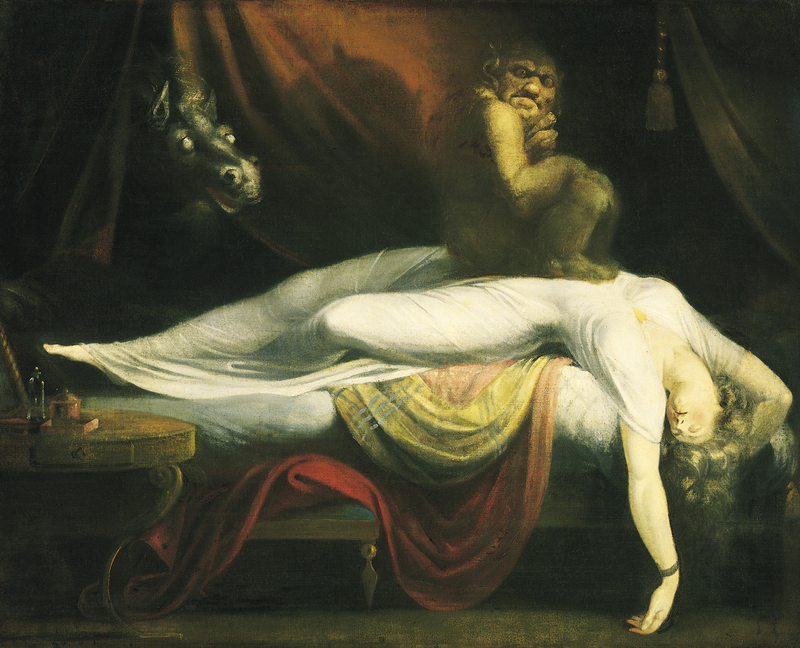 As for the creatures themselves, I think they (what we see of them) look like cool variations of the classical representations of the demons that cause sleep paralysis, so I’m inclined to like them. Now we know how the horse’s head really got into that bed in The Godfather. I also like that they’re shown sparingly – partially because it works for the movie, and partially because the CGI isn’t exactly all that crash hot. The movie has much less of a scare factor for me now than it did 10+ years ago, but I still think it’s pretty good. Even Regan’s acting, and the presence of Marc Blucas (who I will forever side-eye, thanks to the fact that I can’t not see him as Riley from Buffy) can’t take away from my enjoyment of it.